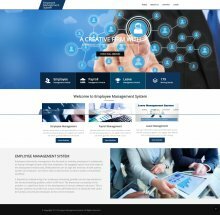 This Project Employee Management System has been developed on NodeJS, AngularJS, Mongo and MEAN. The main purpose of the this project on Employee Management System is to manage the details of Salary, Leaves, Employee, Experience, Informations. It manages all the information about Salary, Login, Informations, Salary. The project is totally built at administrative end and thus only the administrator is guaranteed the access. The purpose of the project is to build an application program to reduce the manual work for managing the Salary, Leaves, Login, Employee. It tracks all the details about the Employee, Experience, Informations. 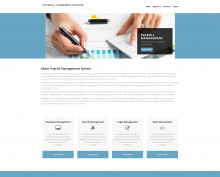 The Project Payroll Management System has been develoed on NodeJS, AngularJS, Mongo And MEAN Project. The main objective of this project Payroll Management System is to managing employee’s information of organization or for a small group. It has to store all the records of every employee within the organization to assign work to person and right salary and perks to their eligible employees. It can also manage employee information efficiently, define the emoluments, deductions, leave, tax etc, generate pay-slip, generate and manage the payroll processes according to the salary structure assigned to the employee, etc. It keeps a track of the employees attendance and on that basis it generate the monthly salary. The Project Leave Manageemnt System has been developed on NodeJS, AngularJS, Mongo and MEAN. 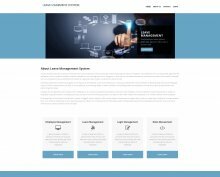 The main objective of this NodeJS, AngularJS, Mongo and MEAN Project on Leave Management System is to manage the details of Employees, Login, Attendance, Leaves. It manages all the information about Leave, Employees personal detail. The project is totally built at administrative end and thus only the administrator is guaranteed the access. The purpose of the project is to build an application program to reduce the manual work for managing the Employees, Login, Leave, Attendance. It tracks all the details about the Attendance, Employee Attendance, Leaves. 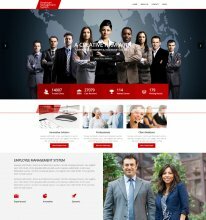 This project Employee Management System has been developed on AngularJS, PHP and MySQL. The main aim for developing this project is to managing many types of work related employees. It can help for the employer to contain all the records of employee payroll and salary features. This project Intends different types of forms. It can manage employees personal details, family details and company details. This project provides a lot of features to manage in very well manner. This project contains a lot of advance modules which makes the back end system very powerful. 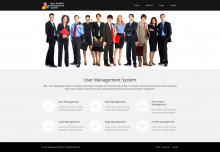 This project User Management System has been developed on AngularJS, PHP and MySQL. It manages all the information about the user. There are two types of users available in the project, first one is User and second one is Admin. User can register his profile in this system and after registration user can login with his id and password. Admin can manage all the register users and admin can update user profile and also delete the register user. Rest of the things I have listed below. I have also attached the project video and screens of this project look into it.